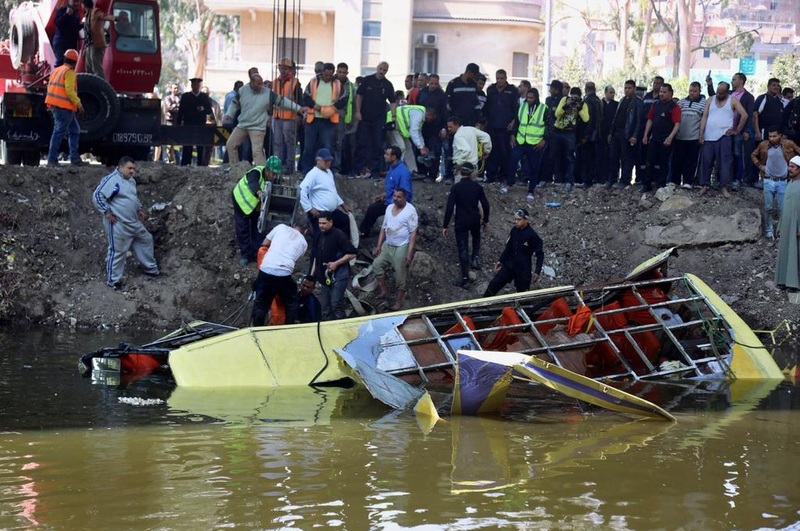 Twelve Orascom Group employees have been killed and 15 injured after a private bus carrying 36 employees veered off the ring road and into a canal branching from the Nile river. Following the accident, locals quickly rushed to the canal to help recover bodies and rescue employees that had been stuck in the bus. As emergency services arrived, bodies were pulled from the water one by one. According to state media, local services are still recovering bodies from the canal. A construction crane was sent to the Maryutia canal, under the ring road, to recover the bus. Meanwhile, Egypt’s Social Solidarity Minister said that families of those killed would be paid EGP 10,000 ($US 1,300) each as assistance, while those injured will receive EGP 2,000 ($US 260) each. Road accidents in Egypt are common, killing 12,000 people each year and injuring tens of thousands. Why Do Egyptian Men Refuse To Reveal Their Mother's Name? Why Do Egyptian Men Refuse To Reveal Their Mother’s Name?